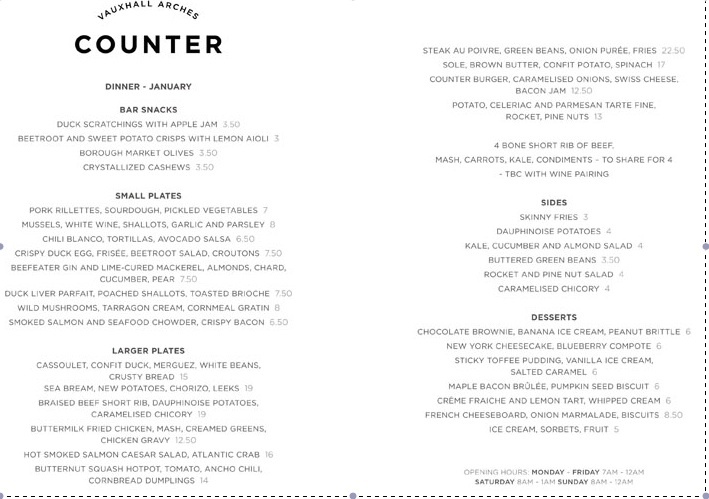 Yet another application for a late night drinking and carousing license underneath the arches – Counter, Arch 50, South Lambeth Place, SW8 1SP, next to Sainsbury’s. It would be located opposite Starbucks (who withdrew an application for a 24 hour licence following local opposition) and Fire (who would be very happy with a never-ending licence, regardless of local opposition). Personally I will be writing to Lambeth Licensing to object. Academy Residents are invited to do the same. I suspect they will be joined by Councillor Jack Hopkins, Licensing and the local police. The consequences of an additional ‘mini’ Fire are all too obvious and, I believe, unwelcome. Closing date for objections is 23rd May. Write to licensing@lambeth.gov.uk, remembering to put your name and address otherwise your objection won’t be valid. Starbucks has decided to withdraw their application for a late night (effectively twenty-four hour) license at 2 South Lambeth Place, SW8 1SP. Should they wish to obtain a licence they will be required to make a new application and consultation would start all over again (28 consecutive days). 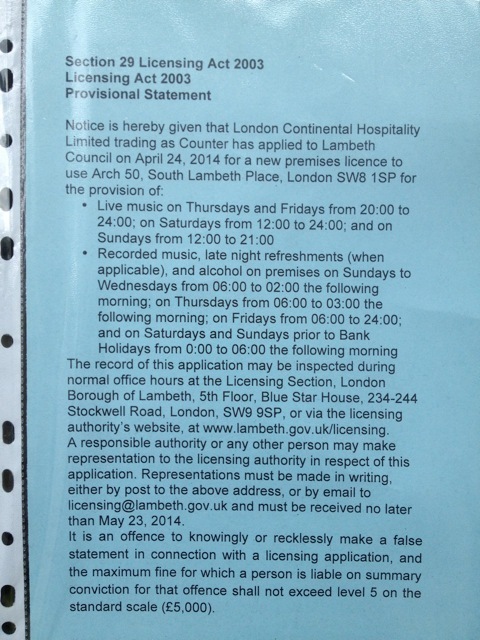 Starbucks – Having A Taxing Time Trying to Get A 24 Hour License For South Lambeth Place. Starbucks have applied to operate a late night (read 24 hour) refreshment venue (read coffee shop) at 2 South Lambeth Place, SW8 1SP. Well, why not, every other business/bar/food outlet/mini-mart and club in Vauxhall’s got one, why should Starbucks be left out. It’s not like they don’t pay (voluntary) taxes to help sustain this wonderful country of ours. And this could be the break they’re looking for in their protracted drive to finally turn their UK operation into a profit centre. Anyway, the hearing is scheduled for 24th March 2014.